Something about Non Pratt’s writing reels me in. She’s hilarious, yes, but it’s her ability to completely understand the teens she writes about that really interests me. She’s also proper nice. It’s a warm day when I call Pratt to talk about her latest novel, Giant Days, and the weather has made the dog a bit grouchy. She begins to bark, disrupting our chat more than once. “She sounds like she’s got a set of lungs on her,” Pratt jokes, and continues to chat as if my having to disappear for a minute to barricade the pooch in another room and stop her spooking the postman is an entirely normal occurrence during an interview. I first came across YA author Pratt in 2014 after consuming her debut novel, Trouble, in a matter of hours. I adored the witty, warm and insightful tale. Giant Days, a novel based on the popular ongoing monthly comic series of the same name, is just as wonderful. Written by John Allison, with art by Max Sarin and Lissa Treiman, the series follows three young women – Esther de Groot, Susan Ptolemy and Daisy Wooton – who share a hall of residence at Sheffield University. 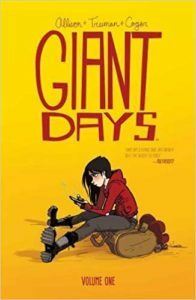 I admit to Pratt that, prior to reading her novel, I hadn’t come across the Giant Days series. “I hadn’t heard of the series either,” confesses Pratt. 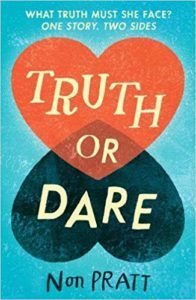 “And now I don’t understand why I hadn’t because a lot of people I’m friends with, and who are in the YA community, read them. I’d never done a writing project like this before – all my work has been my own original fiction – and, when I was reading the comics, I just completely fell in love with the characters. I just loved the Britishness. Was it difficult to take something with a dedicated fan-base and bring it to another genre? Was Pratt worried about staying true to the material? Pratt speaks highly of Allison and it’s clear that she’s a huge fan of his work. “He’s been so helpful and encouraging and been so generous with his characters. I essentially wrote a long piece of fan-fiction for something that I properly love. I don’t think people should just read the novel. The characters are conceived by John, and he’s such a good comics writer, they work so well in a comic format. What I hope is that the novel will encourage people to approach something that you might not have heard about or considered. And if you are a fan of the comics, it’s a nice addition. Giant Days made me feel nostalgic for those first few weeks of university when you’re not sure how you fit in. I remember being nervous of the girl whose room was over from mine, but she ended up becoming one of my best friends – in fact, Housemate and I still live together today at the age of 32. Does Pratt remember her time at university fondly? “One of the reasons I wanted to take this project is that I never really wanted to write a university novel. My normal style is writing for slightly younger teenagers, early to late-teens, but it forced me to look back to my university days. My university experience isn’t necessarily reflective of Giant Days because I basically hid in my room the whole time – I was terrified. I didn’t know how to talk to anyone. I found the whole first term wildly frightening and I couldn’t find any of my people. Eventually, I found people I understand – and I’m married to someone I met on the first day of university. 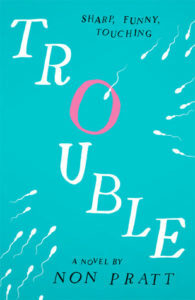 Pratt’s novels are incredibly funny, particularly the dialogue, and I admire the way she explores difficult themes in YA with wit and humour – I think we’re beginning to see more YA authors doing this now – but I remember reading Trouble and just feeling happy that someone was writing about teen pregnancy in a way that didn’t glamorise it but, at the same time, didn’t demonise the characters. 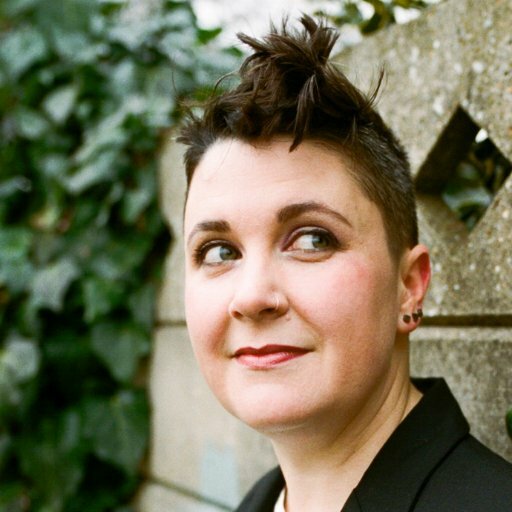 Does she think humour is important in YA fiction? And is there a responsibility to handle certain issues in a particular way? “I want humour in what I read and what I consume – books, TV, anything – and I think it’s important, even when you’re handling big topics. Trouble touches on teenage pregnancy and Truth or Dare deals with internet fame and brain injuries. When you’re thinking about the big stuff, you need to think about how people are, and most people are funny and do make jokes. It makes it more readable and more realistic. So, are there any plans for another Giant Days novel or even a series? Pratt had a busy 2017, working on three different projects: Giant Days, a collaborative novel with six other authors called Floored (due out July 2018) and Truth or Dare which was published in January of this year. 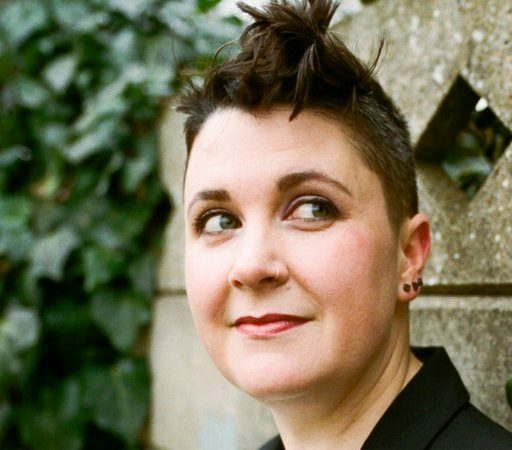 She is also working on her fourth full-length novel for her main publisher, Orca. “I love YA books. I like consuming them. I like writing them. I write for my 14-year-old self and I think I always will, really. ‘Grown up’ books are a different thing and I don’t enjoy reading them as much as YA, so I don’t know why I’d write them if I don’t enjoy reading them as much. 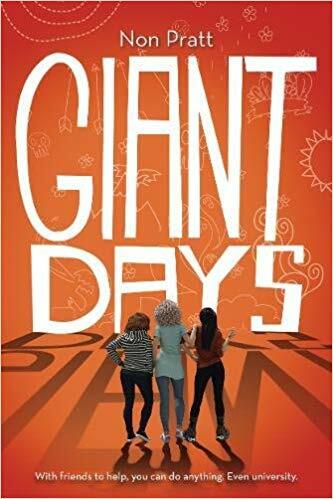 Giant Days is published by Abram & Chronicle Books and will be available to buy from August 21, 2018. Giant Days is an ongoing comedic comic book written by John Allison, with art by Max Sarin and Lissa Treiman and published by BOOM! Studios.